HealthPRO® Heritage is a trusted partner for therapy and consulting services in New York. 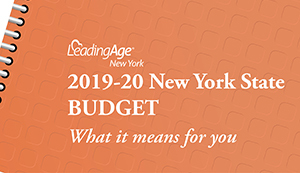 LeadingAge NY Advocacy and Public Policy staff have put together an overview of the final SFY 2019-20 budget. 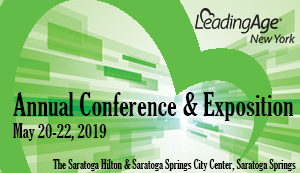 Registration is now open for the LeadingAge New York Annual Conference & Exposition for Attendees, Exhibitors and Sponsors. New this year! Businesses may attend the conference under a new category called Business Attendee. Check out the maximum value offered to businesses through this new option. Choose Attendee Registration to access that option. 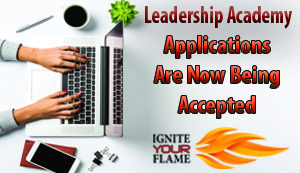 Applications for the 2019-20 class are due June 7, 2019.
Who's Getting You Ready for Your Next Survey? Let the experts from ProCare review your operation before the surveyors arrive. DOH reports that several rate updates are under review and indicates that cost report software is likely to be available in May. Four regional meetings provide an opportunity for CFOs to gather with colleagues to discuss long term care reimbursement issues. 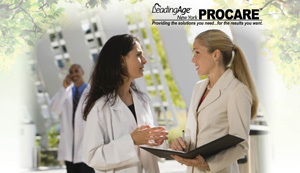 For over 20 years, Leading Age NY ProCareSM has provided a wide range of high-quality and state-of-the-art clinical, administrative and financial consulting services to member and non-member nursing homes and other aging services providers.